Home » Air Conditioning » How Energy Efficient is Your Home’s Air Conditioner? Summer is here with us, and for many people, summer means staying regularly dripped on from the air conditioner. Our air conditioners play a very significant role in cooling and heating our homes during those natural peak seasons. 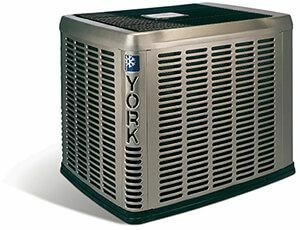 The air conditioner is one of the most extensive systems in any home, therefore consumes a tremendous amount of energy than other appliances. If your unit is not energy efficient, the following could be some of the reasons. When you notice that your electricity bills are up to the roof, it may be a clear indication that your system is looking for help. Some necessary maintenance might be all your unit needs to function efficiently and save up on energy. Yearly service maintenance helps keep your system in check, especially on updates for replacements and repairs. The work of the filters is to trap dust, dander, and debris. During summer there is a lot of dust blown everywhere due to the hot temperatures, these dust particles are stuck in the filters, and when full, the filters get clogged and lowers the efficiency of the air conditioner. This only ends up overworking the unit to meet the required temperatures. Thoroughly dusting and cleaning your home regularly can greatly help improve this. If your AC is using more energy than before, it could be a warning sign that it needs to be checked. Check the ducts and the filters, if the air conditioner is noisy than usual, call your technician to check the unit. The technician may decide and advise you to install or replace some parts or typically make some repairs. Some air conditioners might only need some clearing or a good cleaning. An old air conditioner usually consumes more energy than a new one. Consider replacing it with a new one especially if it has served you more than ten years. Alternatively, you can replace the old parts with the help of your technician and get some routine maintenance to help improve the efficiency. Some repairs and replacements can be costly, almost the same cost as purchasing a new air conditioner, therefore be careful with your choices. How energy efficient is your air conditioner? To know all this and much more visit or call Cliff’s Heating & Air Conditioning company in Schererville, IN today. We provide quick, professional service and plans to keep your systems operating at peak efficiency.